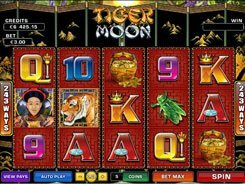 This is a 3-reel video slot played over a single payline. 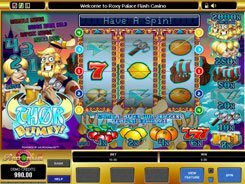 Themed around an Ancient Egyptian theme, the slot features a combination of Vegas-style cherries, oranges and lemons, and themed icons of a pyramid, a camel, an ankh cross, an archeologist and Cleopatra. A bet size is adjusted from $0.25 to $15, with one, two or three coins accepted per line, per spin. 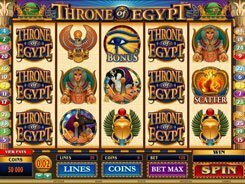 The top jackpot worth x500 times a bet is awarded for hitting three Cleopatra symbols on the payline. 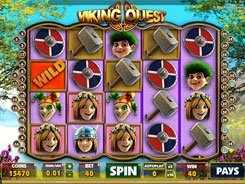 The slot has no wild and scatters, yet it is packed with lucrative bonus features adding lots of fun to the gameplay. During a normal play, players can be awarded randomly with Nudges and Holds. Nudges allow shifting one reel down to create a winning combo, while Holds freeze one or more reels to form a winning combo in the next spin of the reels. The Lady Luxor Bonus is triggered when you collect three Mummy’s heads appearing on the reels as small icons attached to main symbols. You are then presented with a trail made up of 36 squares. 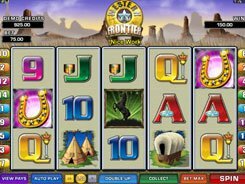 As you progress through the trail, you win amazing gaming perks like bet multipliers, cash prizes, Nudges and other bonus extras. PLAY FOR REAL MONEY!